Have you ever wished to have full video coverage of a 50 meter (164 feet) wide lobby or retail store by using just one camera? One would require an extremely wide viewing angle that can have everything in the field of view and resolution big enough to maintain all the viewed details. 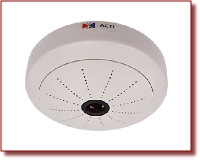 ACTi introduces a new 4-Megapixel hemispheric camera KCM-3911 with the 360-degree ceiling mount view and 180-degree wall mount view. Applications such as retail stores, warehouses, gas stations, train stations, lobbies, banks, etc, represent rather complex environments – they may have bright windows on one side and darker corners on the other side. There may be different lighting conditions for day and night time. How can one camera that looks in all directions at the same time handle it all?! With the newest Superior Dynamic Range technology and 2D+3D Digital Noise Reduction, the camera is able to maintain clear 360-degree video 24 hours a day regardless of lighting conditions! What if there are regions in the view of the camera that are more sensitive and require different permission levels to watch? No problem! You can switch the camera into 6-Region mode instead and have each of the regions streamed individually to VMS where different management and permission rules can be applied for each stream. Can KCM-3911 also act like a PTZ camera? Yes! With the special ePTZ mode it is possible to navigate within the panoramic view just like Speed Dome! The motion triggered ePTZ preset points work with the ultimate speed of 0 seconds because there are no mechanical parts involved! This way you will always be on time to capture the intruder’s face before he runs away. Thanks to the powerful ISP designed by ACTi, the spherical raw image is converted into a flat and rectangle-shaped image right within the camera together with restoring the normal proportions of the objects in the field of view. This way, there is no need for extra processing on remote software side, making KCM-3911 easy to be integrated with any VMS in the world. ACTi own software NVR (free up to 16 channels) and Standalone NVR will be ready to support all the special functions of KCM-3911, such as panorama mode, ePTZ mode and 6-Region mode with any resolution! * Advanced event management system with motion detection, DI/DO and local storage. While ACTi is going forward with the development of multi-megapixel cameras carrying market leading technologies, another important product line has been released at the same time to satisfy the needs of a large market segment – the budget sensitive projects that have high demand for perfect video evidence, but at the same time expect to have all the other less important features of the camera removed in order to optimize the cost of the project. The newly released simplified TCM-series 1.3-Megapixel models come with the same video quality as their fully featured counterparts while having much more attractive price. While working on the project proposal, you may consider combining the fully featured and simplified models – for the locations where specific non-video functions are required such as audio or alarm inputs, you may suggest the complete version, and for other locations where only the good video quality matters, you may go with the optimized model. All these new TCM-series models are also very economical in terms of power consumption; therefore they are all able to work with PoE Class 2 power supply, which means that it is further possible to optimize the cost of the project by introducing PoE Class 2 data switches instead of Class 3. ACTi VMS supports these 4 new models already today. The leading third party software vendors will also integrate these models within 1-2 months. ACTi Corporation is an IP surveillance unified solution leader. Our extensive technology 4-Megapixel Unified Solution brings the security surveillance system to the highest evidence level. 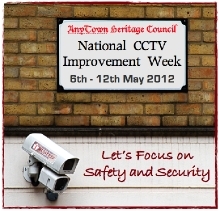 Our offering includes cameras and High-Megapixel compatible Video Management Software. Handling all technical support professionally is also ACTi's commitment.